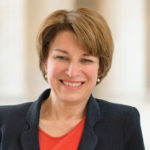 Who doesn’t like Democratic Senator Amy Klobuchar? She’s warm, smart, funny, friendly, and she’s on the virtuous side of all the issues. I know I like her quite a bit. But it turns out someone doesn’t like her, because a few unnamed former staffers are now claiming that she was a horrible boss. Because she’s about to run for president, this story isn’t going away any time soon, so let’s talk about it. Here are the accusations that these former staffers have made to the media about Amy Klobuchar: she gets angry, yells at her staffers, sends them emails telling them that their mistakes are the worst thing she’s ever seen, and that she once threw a binder down on a table which then bounced back up off the table and nearly hit someone. There are a couple of challenges here when it comes to understanding what’s really going on here. First, is this typical of how she treats all of her staffers, or are these merely a couple of disgruntled former staffers who are so bad at their jobs, she got frustrated with them? Second, how much of this is simply because she’s a woman? I’ve heard buzz about various male Democratic politicians having legendary tempers that make the accusations against Klobuchar look like a walk in the park. The difference is that when this buzz surfaces about men, no one seems to care. It’s one thing to be hard on your staffers, which can bring out the best in them, while weeding out the ones who shouldn’t be there to begin with. It’s another to be abusive to your staffers. There’s a million miles of difference between angrily throwing a binder down on a desk – which is the worst of what’s alleged against Klobuchar – and something like throwing a binder at a staffer, which is not being alleged here at all. I have a very high opinion of Amy Klobuchar in general. Because she’s entering the 2020 race for president, a whole lot more details and context are likely to surface about her alleged treatment of her staffers. Whatever is really going on here, we’ll find out before too much longer. In the meantime, while these former staffers deserve to be heard, we shouldn’t allow the Republicans (or the purists of the fringe left) to try to use this controversy to sabotage Klobuchar’s campaign. She’s a strong, if allegedly imperfect, candidate – and she could make a great President of the United States.